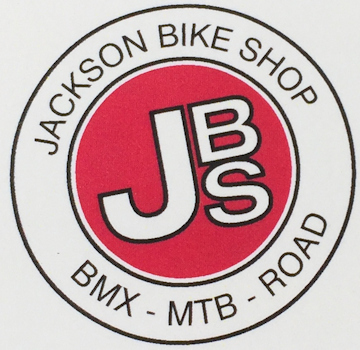 Jackson Bike Shop provides mechanical support at the Pioneer Park Rest Stop. The store is located at 275 E State Hwy 88, Jackson. Folsom Bike (www.folsombike.com) provides mechanic support at the Ione Park and Ride Rest Stop. The store is located at 7610 Folsom-Auburn Road, Suite 100, in Folsom. A second store, Town Center Bike, is located in El Dorado Hills at 4420 Town Center Boulevard, Suite 150. Mike's Bikes, Folsom (www.mikesbikes.com). The store is located at 705 Gold Lake Drive in Folsom. Mike's Bikes is a growing family of local bike shops, all with a singular purpose-- to get as many people on bikes as possible. Mike's Bikes locally owns and operates twelve stores throughout Northern California. A professional staff of over 250 cycling enthusiasts strives to ensure that your experiences both in the store and on your bike are the best they can be. Trek Bicycle, Sacramento Midtown (www:trekbikes.com/sacramento_midtown) provides mechanic support at the Fiddletown Park Rest Stop. 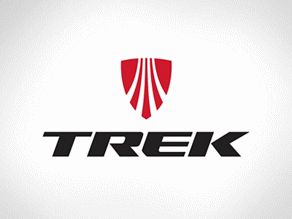 Trek Bicycle Sacramento Midtown is your destination for the latest products from Trek and Bontrager, top-notch service and tune-ups for bikes of any brand, and professional bike fit services The store is located at 2419 K Street in Downtown Sacramento. Patriot Bicycles (www.patriotbicycles.com) provides mechanic support at the homebase in the Amador County Fairgrounds on Saturday morning. The store is located at 7441 Madison Avenue in Citrus Heights. Starbucks in Loomis is the local coffee shop that provides a variety of coffee products at our "Water Stop" located at Pioneer Park near Fair Play. Pioneer Park is the first stop on the 69er Challenge and 41er routes (Mile 22) and the fifth stop on the Classic Century and Double Metric routes (Mile 74). The coffee shop is located at 6099 Horsehoe Bar Road next to the Raley's grocery store. Captivating Sports Photos is our event photographer that seeks to capture 3 to 5 images of each rider before, during and after the event, as well as complete coverage of the event itself, the course, vendors, volunteers and staff. Photos will be available for purchase on line within 48 hours after the event at www.captivatingsportsphotos.net For more information about the photographer, go to this website or call (209) 406-1845. Cycle California! Magazine is a free monthly magazine based in San Jose that seeks to provide readers with a comprehensive source of cycling information covering northern California and Nevada, including events, news, and feature articles. With a circulation of 32,000 in print copies and 88,000 in digital format, the magazine is distributed to about 800 locations, including over 375 bicycle shops. For more information, go to www.CycleCalifornia.com or call (408) 924-0270. Clif Bar & Company is a leading maker of nutritious and organic foods and drinks, including CLIF® Bar energy bar, LUNA®, The Whole Nutrition Bar for Women®; and CLIF Kid®, Nourishing Kids in Motion®. Focused on sports nutrition and snacks for adventure, the family and employee-owned company is committed to sustaining its people, brands, business, community and planet.